In the event of your death, financial support may be a significant issue for your family. Day-to-day living expenses, bills and so on, will still have to be met by those you leave behind. This is why the benefits of the GRA Group Life Plan are so valuable for GRA members. 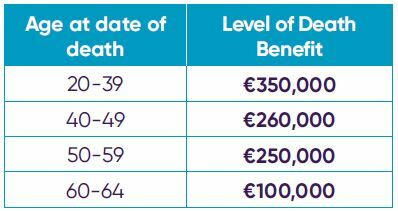 If a member reaches age 65 on or after 1st January 2019, they will be eligible for cover of €45,000 up to age 70, provided they maintain premium payments of €31.85 per month (€7.35 per week). 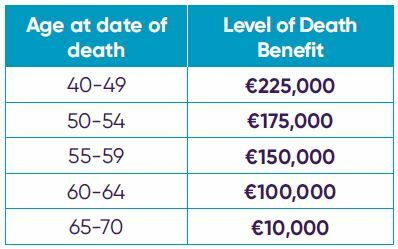 However, if a member reaches age 65 before 1st January 2019 they will continue with the current benefit of €10,000 up to age 70. A lump sum of €115,000 will be paid to a serving GRA member on the death of their spouse or partner. Cornmarket and the GRA work together to secure the best price and benefits for members. When it comes to cost, you benefit from the group purchasing power of the GRA. GRA Group Life Plan is underwritten by Irish Life Assurance plc. Irish Life Assurance plc is regulated by the Central Bank of Ireland.